It seems that a decision will be made at the end of January that may see more private ambulances out on the roads of Plymouth to replace South Western AS on non emergency duties. SWAST, which runs most of the non-emergency ambulances such as taking patients to hospital appointments, fears the 999 service will lose vital back-up in times of crisis. The Head of Commissioning for NHS Cornwall gives assurances that operators will have to meet stringent standards - but that does not actually answer the question. Will these private contractors be expected to make their ambulances and staff available for emergencies if needed? What hasn't been made clear here is that Plymouth's two private ambulance services (Crusader Ambulance Service and Plymouth Central Ambulance Service) have for the last six years already undertaken 35% of the NHS Patient Transport Service for the area. The Hospital Trusts have been paying the NHS ambulance service to meet demands through their contracts but year after year the NHS Patient Transport Services (operated by South Western Ambulance Service NHS Trust) have failed to meet these contracts and the hospitals have then had to pay a second time to provide a private ambulance service to underpin SWAST's failures. One can hardly blame the Hospital Trusts for seeking a more efficent service provided by the private ambulance services, particularly when this comes at a more competitive cost. 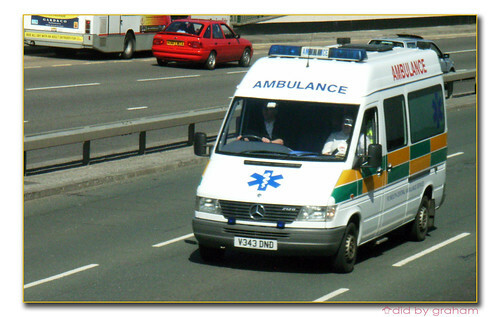 As for making these private ambulances available to attend emergencies, this is a totally different subject. Currently, SWAST PTS ambulances do not attend any emergencies and any implied suggestion by SWAST that they do is false. The 999 service is totally seperate from the PTS service and there are no intentions to change the current 999 service what-so-ever. It would appear that SWAST's scarmongering in the recent media is a last ditch attempt to save their positions. Unfortunately, SWAST have mismanaged the PTS Service for numerous years and, quite rightly, the Hospital Trusts are now seeking to tender the PTS services to the Private Sector to gain a more efficient and cost effective way of spending public funds for these services to benefit patients. One can not blame the local NHS PTS ambulance drivers for this change....blame has to be laid clearly at SWAST's Management who, having been warned by the Hospital Trusts for a long time to improve, have failed to take action . Plymouth's Hospitals spend £850,000.00 per year on Patient Transport Services.